Peek: Polar Bear moms and cubs near Churchill, Canada. 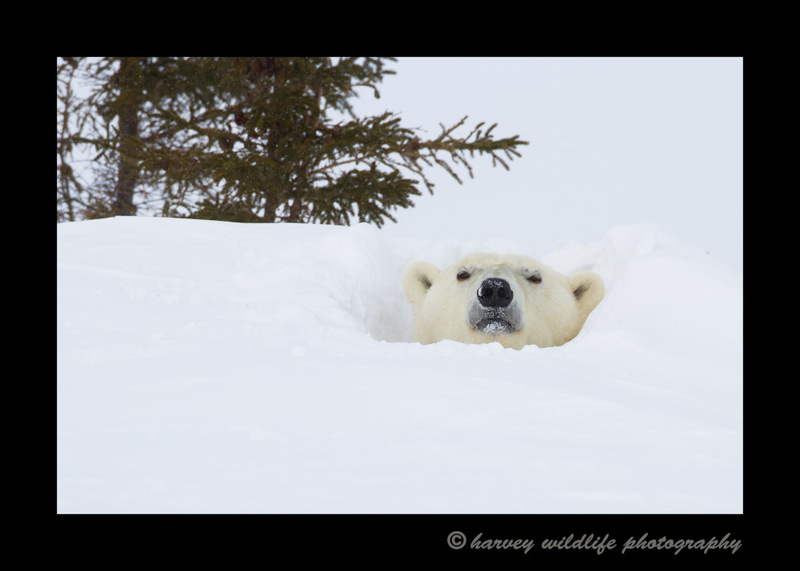 For the first four days of our polar bear safari, this was the closest that we got to a picture of a polar bear. I think she may have popped her head out of her den two or three times that day.